Ann has worked in education for 30 years. She has a 1st class honours degree in education (English and History), a diploma in special educational needs, the National Professional Qualification in Headship and a masters degree in leadership and management. Ann started her teaching career in primary schools, working as a primary teacher, specialist SEN teacher and as a deputy headteacher in a primary school which also had specialists provision for children with complex medical needs. 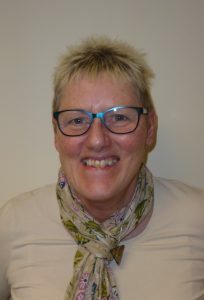 Ann then worked as the SEN team manager for Oldham LA before moving to Cumbria and managing the assessment and commissioning of specialist provision for all children across Cumbria Local Authority. Ann then moved to central government and worked as a senior adviser to the DfE working on several high profile projects such as Progression Guidance, The Inclusion Development Programme and Achievement for All. Since then Ann has held 3 successful special school headships with all schools achieving either good or outstanding under her leadership. Ann told us “I am absolutely passionate about the quality of life and outcomes for our most complex young people. I have high aspirations for them, and work tirelessly to ensure they succeed in whatever they hope and dream. I have a large family, and as a mother and grandmother, I work on the basis that my school must be good enough for my own family or it isn’t good enough at all! “From the minute I met the staff and young people I knew it was the place I wanted to be, a happy place where everyone mattered. I am extremely proud of how hard the staff work to give each young person the very best experience we can. I am equally proud of the young people who surprise me with their progress and achievements every day”. 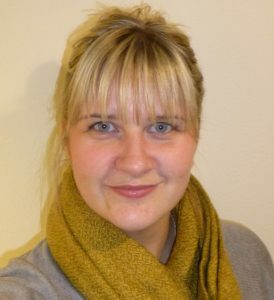 After completing her Primary Teaching degree at Edge Hill University in 2011 April began her teaching career at Underley Garden. April began teaching a KS3/4 class for 3 years before Underley Garden expanded to open their Primary provision, Holly Trees. With her Primary background, April developed the provision with the expectation it would enable primary children to access a broad and balanced curriculum which met their individual needs and allowed them to reach their full potential. “I am very proud of what Holly Trees has become and the exceptional work the staff do to ensure the children are not only progressing well but also enjoying their school experience. Holly Trees has been open for nearly three years and continues to thrive with happy children”. After successfully developing and leading Holly Trees, April became one of the Assistant Head Teachers at Underley Garden in 2016. 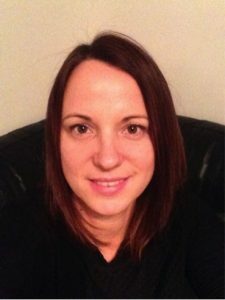 She is currently completing the National Professional Qualification for Senior Leadership and in April 2018 became Head of School at Underley Garden. April is excited to see Underley Garden continue to grow and succeed and looks forward to the successes both staff and the young people achieve. I began my career at Underley Garden over 7 years ago and within that time I have moved through the organisation’s rank starting as Care Worker, Senior Care Worker and Deputy Manger until my recent appointment as Registered Manager. This career progression has afforded me an essential insight into every facet of the residential setting. As a father of a severely disabled child I feel I have invaluable knowledge of what living with and caring for vulnerable young people entails. I always attempt to bring this personal touch to how I relate to the young people in our care but also to the family members and carers that also require our support. As a parent engaged in fighting for my own daughters’ voice to be heard I am passionate in advocating for the young people living at Underley Garden in the exact same manner. Underley has provided me with a chance to further my own carer whilst at the same time enabling me to be involved in the most rewarding work I have ever known. At times the role can be extremely challenging but when you see the positive outcomes achieved and the difference this can make to a young person and their family then job satisfaction is unmatched. I work alongside a dedicated team who all have the same ethos as myself and we push each other to achieve the best at all times for the young people in our care. Craig came to work at Underley Garden 14 years ago, after a few years of experience in management of hotels. During his time and progression at Underley Garden he has fulfilled various roles from Maintenance assistant back in 2004, Care worker, Learning Mentor, Teaching assistant including the delivery of Construction courses to post 16 students, Duty Manager and previously held the role of School Manager. 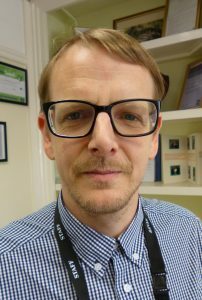 In April 2018 Craig was appointed as Assistant Head responsible for behaviour, safety and outdoor education and educational visits. Craig has recently completed an NVQ Level 5 in Leadership and Management. The main part of my role is managing the operations of the school day, where I need to be prepared to manage any situations that arise, as even the best laid plans can change! I have worked at Underley Garden for over 12 years; it is the most rewarding job I have ever experienced. My first position was a care worker and over the years I have been supported and encouraged to follow my dreams and become a teacher. I thoroughly enjoy planning and delivering innovative and engaging lessons and seeing my students grow in confidence and ability. I am now the Assistant Headteacher and SENCo and I have the privilege to support and develop our students with complex needs who access our unique personalised curriculum, improving their independence skills, social and communication skills, functional skills and preparing them for their next step in life. As the SENCo, I enjoy working as part of the onsite multi-disciplinary team, we work closely to identify students’ needs and plan their curriculum to meet their EHC targets. Where necessary we plan and implement interventions to remove any barriers to learning to enable our students to reach their full potential. I am also proud to lead our exciting new nurture group and nurture base working in partnership with the mental health practitioner and therapists. 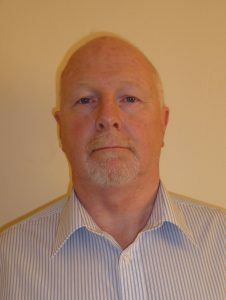 Stuart has experience in Facilities Management for over 35 years and is a member of the BIFM (British Institute of Facilities Management). Prior to working at Underley Garden Stuart was employed in the Health Sector within both the NHS in the UK and Health Service in New Zealand. Whilst in the health industry he gained varied experience of facilities and maintenance management and this included acute and non-acute provisions which also covered relevant areas such as Mental Health and Family and Youth specialities. Stuart returned with his family to the UK in 2015 and settled in Cumbria. Stuart began work at Underley Garden early in 2017 and was able to transfer his experience to date onto the engineering, building and grounds maintenance service at Underley Garden along with our external sites. Stuart’s remit also covers Health and Safety, Catering and Cleaning Services Provision at Underley Garden along with Project Management as the site expands still further. Stuart manages various dedicated teams at Underley Garden and this includes in house staff and external service providers to ensure that Underley Garden is well presented, site is serviced accordingly and all legislative requirements are met. This also involves working closely with the Principal and Senior Leadership Team so that we are able to deliver a first class service to the children, young people and young adults, staff and visitors to Underley Garden. 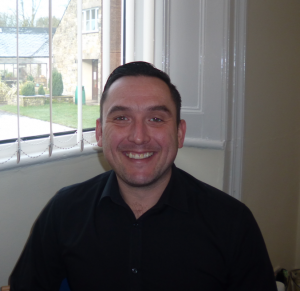 Stuart enjoys the varied, challenging, but rewarding role that this opportunity has afforded him and looks forward to continued input into the sites and young people’s futures.